Music, the universal language of all humans, is the link by which all humans can relate regardless of language, culture or religious beliefs.As such, music has been bridging the gap between people of different cultures for centuries and bringing them together. However the creation of music with musical instruments can be difficult and time consuming as an enormous amount of time is required in order to be proficient in any instrument. As a result, even people who are deeply passionate can sometimes lose focus or interest in learning/creating music. Maker Hart is attempting to prevent this waning of interest by providing options and support for those who are learning how to play an electronic instrument. 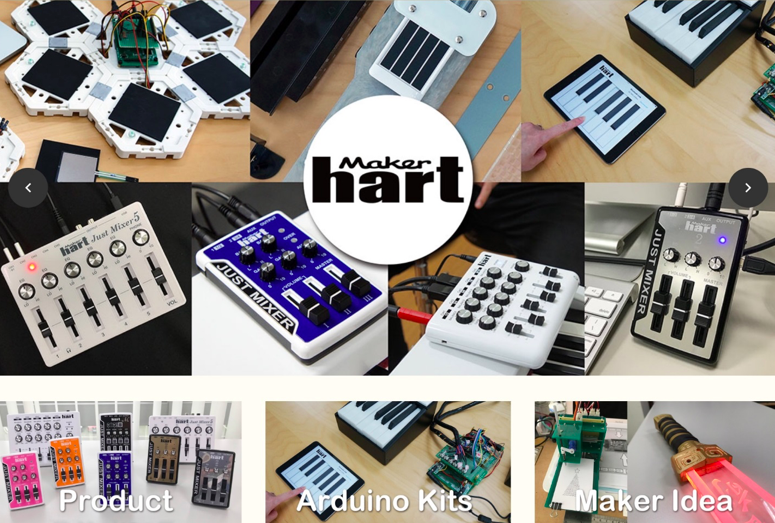 Maker Hart is an innovative company involved in the creation of new musical technologies that support and enable music enthusiasts to adequately express themselves. They cater to all types of musical enthusiasts; from the amateur beginners to the professional experts, hence they provide a myriad of products for those looking to explore electronic music. How is Maker Hart making the creation of music more accessible and easier? Combining the Bluetooth Musical instrument Digital Interface(MIDI), sensors and the huge amount of open source code that has become available in recent years, Maker Hart has succeeded in enhancing the learning experience of musicians worldwide. They immediately realized the opportunity these open source codes provide as they provide a myriad of ways to both create and edit music. Moreover, because of their dedication to the creation of music, they have made their product available worldwide. In addition to this, they are constantly working and improving on their current products. Hence the addition of new features can be seen on a regular basis. From mini audio mixers to new innovative musical instruments, the quality and standard of their product are quite impressive and draws people from all over the world. Their musical instrument creations also serve to inspire and attract the future generation. Every year Maker Hart attends a number of fairs, where a number of their most innovative musical instruments are displayed. The public is allowed to test and try out these products during these fairs. This serves to inspire and attract both the younger and even the older population at these fairs. By allowing the public to try out these new instruments, they give them a chance to enjoy their new musical instruments and peak their interest in the creation of music. Along these new instruments are the well-established products. This allows the public to observe how the products interact with each other and how music can be recreated and edited. As such, this educational experience becomes fun for the younger, inexperienced population, serving to motivate and propel them further into the music industry. Constant innovation and progressiveness in the music industry are the ideals by which the Maker Hart Company stands by. However, the motivation/ inspiration of the future is also a responsibility the staff greatly enjoys. 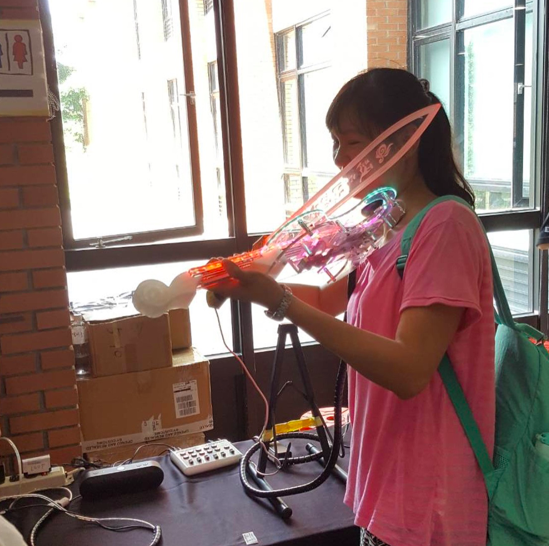 As such, the Maker Hart will continue to provide creative instruments that excite the young minds at the maker fairs attended.